Finally, a Chess variant that accommodates three players without compromising ANY of the rules, strategies, or competitive challenges that make Chess the best board game in the world. 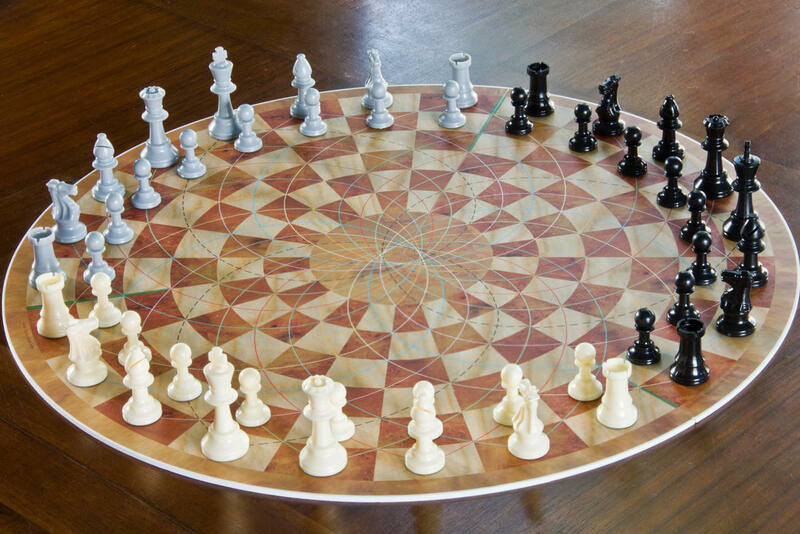 3 Man Chess is played “in the round,” that is, the field of play is circular. 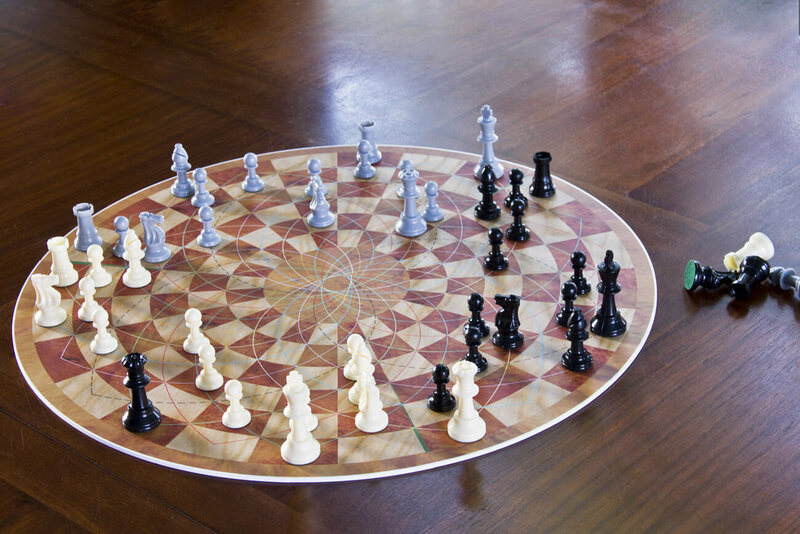 For the most part, 3 Man Chess is played just like conventional Chess. – there was NEVER any intention of trying to make the game “better” because that can’t be done. However, being able to play with three minds interacting creates situations that never arise in conventional Chess. 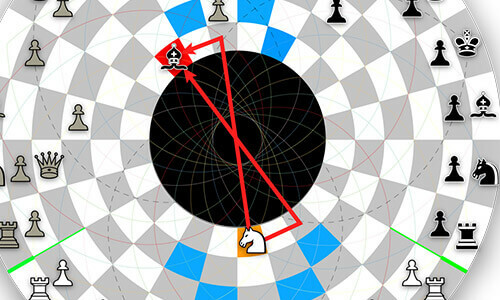 3 Man Chess uses conventional chess teams (three of them!) – 16 pieces that follow all of their traditional rules; 8 pawns start on rank #2 protecting 2 rooks, 2 knights, 2 bishops, a queen and a king which start on rank #1 (the outermost rank). The teams are separated from each other by “moats” and “creeks” that are impassable at the start of the game. 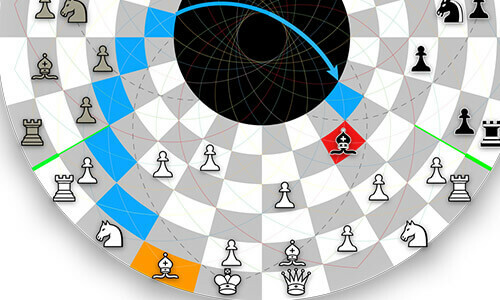 Straight moves may also pass across the central “void,” or move around the circular ranks. After just a couple of turns around the board, strategy becomes intensely complex and fascinating! An unexpected move might well result in a cascading massacre. Defense is crucial since a diagonal move through the center, or a horizontal move around the center can sneak up behind you. 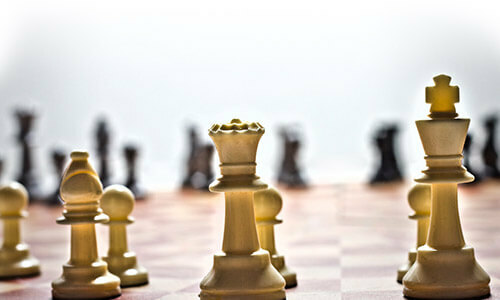 Your two opponents can team up to checkmate you, or ultimately you can checkmate both of them at the same time! 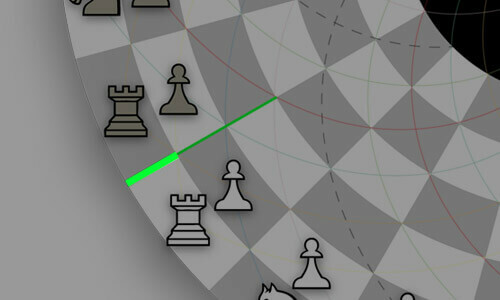 At the center of the 3 Man Chess board is the “void”. Pieces may cross over the void as if it were not there, but cannot stop on it. 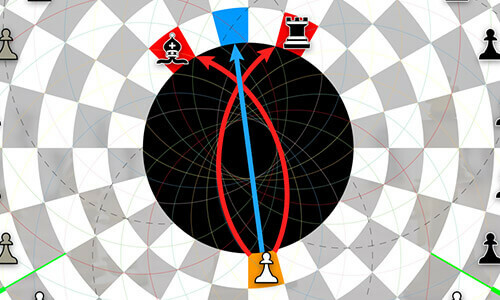 Pieces traveling in a straight line (including knights) simply cross the void and continue on their way, whereas pieces moving/attacking diagonally must follow the curved guidelines shown. There is a “moat” between each team on the outer rank to prevent players from immediately pummeling each other. 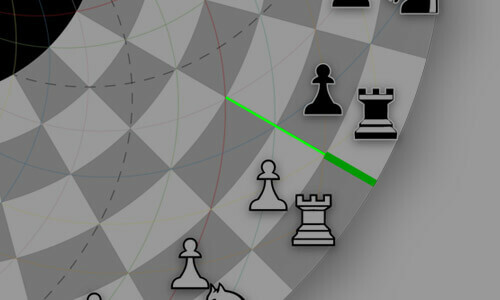 When the outer rank between two moats is completely empty, the two become “bridged” and pieces can pass over it freely for the rest of the game. Creeks extend moats by two additional ranks. 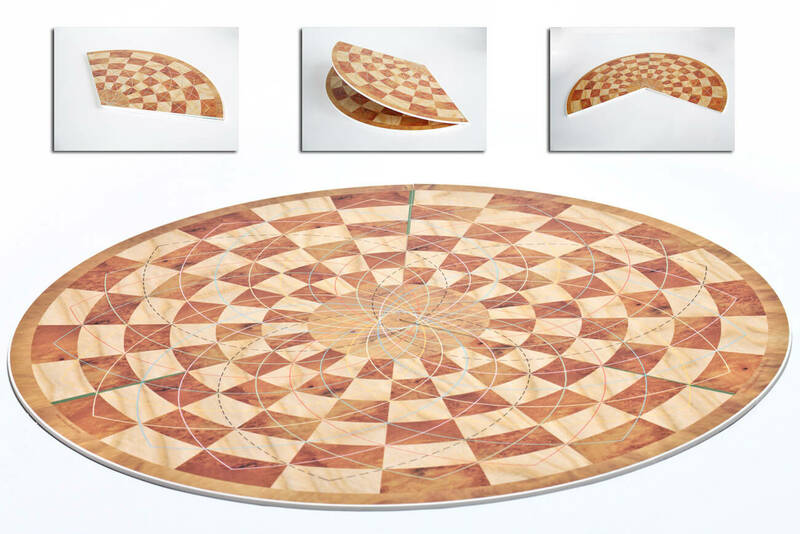 These prevent Pawns from diagonally capturing pieces until the Pawn is past the creek, ensuring players can safely move further into the board early game. Creeks have no effect on pawns after they hit rank 4 and never affect other pieces. © 2019 3 Man Chess, LLC. All rights reserved.